Mr. JianWei LIN, Chairman of Jolywood Group, said, "Unisun completed the procurement of modules and the construction of the power plant in just four months. The efficiency of its operations and the orderly management of the project site are excellent and very impressive. We believe that through Unisun's outstanding experience and capabilities, as well as Jolywood's strong R&D and manufacturing, we can bring together more efficient solar power plant solutions for the European market." Mrs. Yisha HE, Chairman of UNISUN Group, said, "Unisun Energy is careful to only select products with leading technologies to offer to our esteemed list of clients. It turns out that Jolywood's product quality is excellent. Jolywood's unique N-type high-efficiency technology and industry strategy are highly aligned with UNISUN's vision. We are pleased to work together to provide customers and markets with solar power plants with the best LCOE and high reliability." 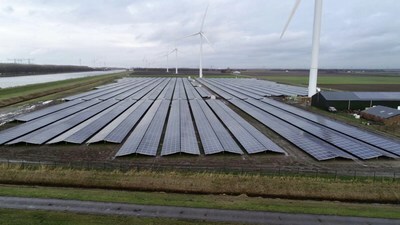 Cooperation Unisun Energy in the Netherlands was established in August 2016 by Unisun Energy, a global renewable energy system integration and green energy services provider. The company provides a complete package, from developing, design, finance, and full construction of the installations, to the operation and maintenance. About Jolywood (TaiZhou) Solar Technology Co. Ltd.
Jolywood (Taizhou) Solar Technology, a leader in the global solar industry with 2.4GW in manufacturing capacity of N-Type Mono Bifacial solar cell, and a wholly-owned subsidiary of Jolywood (Suzhou) Sunwatt Co. Ltd., is engaged in the research & development, production and marketing of solar cells, solar modules and technical advisory services. 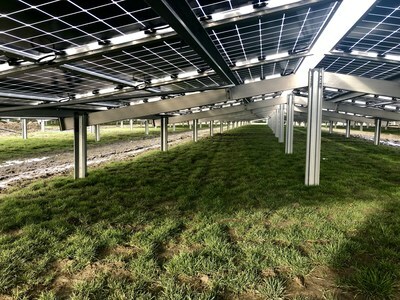 Founded in 2008, Jolywood (Suzhou) Sunwatt Co. Ltd. (SZ: 300393), is the largest professional manufacturer of PV backsheet worldwide, with an annual production capacity of over 100 million meters.